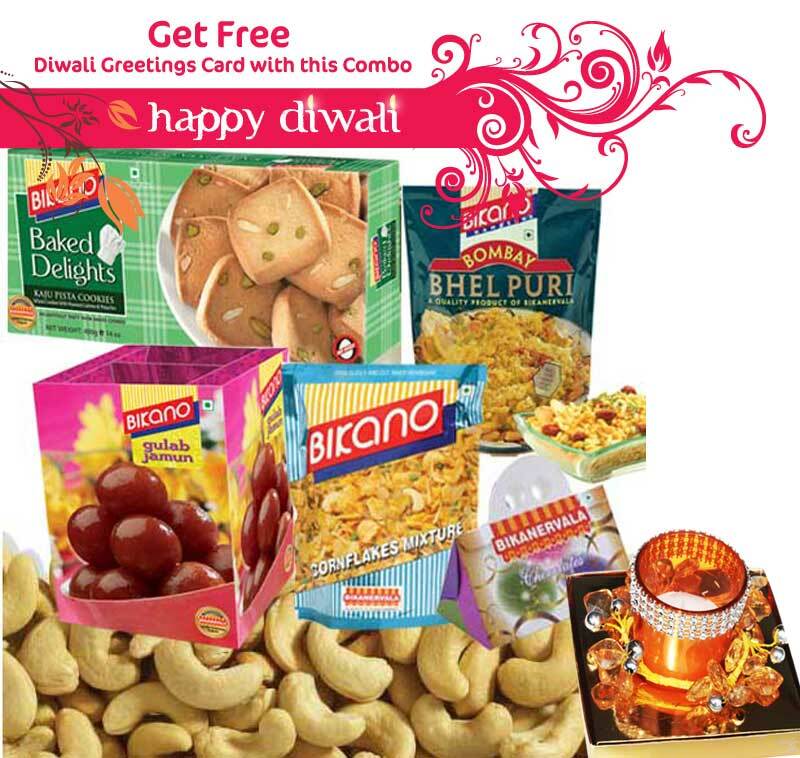 This Gift combo is the most famous and popular Gift hamper. It includes all the gourmet varieties one looks for. It includes Namkeen Cashewnuts(200 gm), Gulab Jamun(1 kg), Kaju Pista Cookies(400 gm), Cornflakes Mixture(200 gm) , Bhelpuri (200 gm) and chocolates(70 gm), securely packed in a silver finished basket with a foldable handle. This combo also offers a designer candle embedded in a glass, decorated with crystal flowers. A beautiful Diwali greeting card is also included which enhances your wishes for your loved ones.